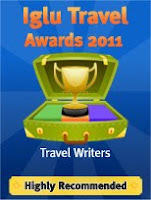 My year of getting published: Interview with a Travel Writer...Sean McLachlan. 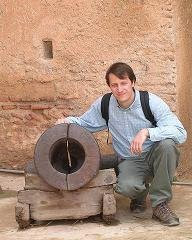 Interview with a Travel Writer...Sean McLachlan. Today we talk with travel writer Sean McLachlan whose articles have appeared in Yoga Journal, The World and I, Ancient Egypt Magazine, Global Journalist, and Reuters Wire Service. Sean is the author of Byzantium: An Illustrated History, Moon Handbooks London, It Happened in Missouri, and co-authored update of Insider's Guide to Phoenix. Actually no. As a kid I wanted to be either an astronaut or a spy, but I ended up working as an archaeologist for ten years. Excavating in Israel, Cyprus, and all over the United States sustained my love of travel. Eventually I realized I didn't want to go into academia and I looked around for what else to do. During the Nineties I got caught up in the zine movement, publishing my own travel/archaeology zine titled Ichthyoelectroanalgesia and writing about my travels for other zines. Eventually I decided, "Hey, why not try to do this for a living?" Getting to co-update the third edition of The Insiders' Guide to Phoenix for Globe Pequot. I got that through contacts and sheer luck. One of the people who was supposed to do the update bailed at the last minute, and a friend of mine, who lived too far away to take the job herself, tipped me off. I had been living in Arizona for many years and had accrued some journalism clips, so I got hired! I paid back my friend by helping her out on her own guidebook a couple of years later. Guidebooks are great for freelancers because they keep needing to be updated. I did another edition of the Phoenix guide before I moved away, and the experience on that book helped me land the contract to do Moon Handbooks London. 3. What advice would you give to someone who wants to break into travel writing? As always, start small and write what you know. Try to break into local markets like newspapers and magazines and do unusual takes on local sites. Smaller local and regional publications are usually hungry for decent copy. Of course, I didn't start this way, I started by being in the right place at the right time, but you can't really plan for that! Well, actually you can. Be visible, be social, and be professional. If you want to break into local publications, you might want to look at an article I did for The Writer, later syndicated on Written Road - Ten Tips for Landing Great Features in Your Home Area. 4. What do you see as the future for travel writers in the printed media and online? Travel is a huge industry and that's not going to change anytime soon. What is already changing, however, is how people get their travel information. Travel blogs are very popular now, as are forums like Lonely Planet's Thorntree, and while ebooks and portable ereaders haven't made the major strides that their proponents predicted ten years ago, I can't think of a genre more appropriate for the medium than travel books. Imagine having a library of guidebooks and other works on the local area on an ereader. If someone isn't working on putting guidebooks on mobile phones yet, they should be! These changes are inevitable, so in the next few years writers who are tech savvy are going to be way ahead. Of course, some things never change. Accurate information, clear and engaging writing, and a unique take on an area will always be important ingredients for successful travel writing. 5. Which travel writers and/or travel books have influenced you? As a teenager I had eclectic and rather odd reading tastes. One genre I loved was Victorian travelogues. Yes, they were always biased, occasionally clueless, and described a world that no longer exists, but their writers were true adventurers. My favorite was Sir Richard Francis Burton, who was remarkably open-minded for his time, but a real cad otherwise. Oh, and I agree with Lola Akinmade about Kerouac. For sheer forward momentum and complex yet flowing prose, you can't beat him. Hi Lola, if you're ever in Madrid, I'll show you the sights. You'd love it here! 6. As a writer and traveler, what are the biggest challenges you face on the road ? Never having enough time! There is not a single country in this world I don't want to go to, but there aren't enough years in a lifetime to see all I want to see, especially since I like to spend at least a month or two in each country or major city. I've been to more than twenty countries, but will I get to the more than hundred others before I shuffle off this mortal coil? Probably not. Of course, trying to go to them all would make a great book, but I'm not sure anyone would give me a big enough advance to cover the expenses. Any takers? 7. Finally, what is your favorite place and why ? India. No question. I've spent more than a year there on three different trips, and briefly worked for the New Delhi bureau of Reuters covering Kumbh Mela, a giant Hindu pilgrimage, but I always hunger to go back. Give me a free ticket anywhere in the world and I'll pick India over all the places I want to go but have never been. The people are wonderful, the food is awesome, and the depths of culture and history are truly bottomless. I'm sure the same is true about China, but I've never been there. I'm actually a bit afraid to go to China because I know it will probably hypnotize me the same way India has, and I don't have the time for two cultures so vast and complex! Nice interview Sean. I love Madrid and will definitely get in touch when next I'm in Spain. Great, please do! Madrid has everything--delicious cuisine, nice people (mostly), world-class museums, a thriving art scene, and an exhausting nightlife.